You may be thinking "I hear about this mindfulness stuff all the time but meditation, yoga, and deep breathing just isn't for me!" Or, "I've tried mindfulness. Nothing happened. It didn't work." If you've felt that way before, I can totally relate. 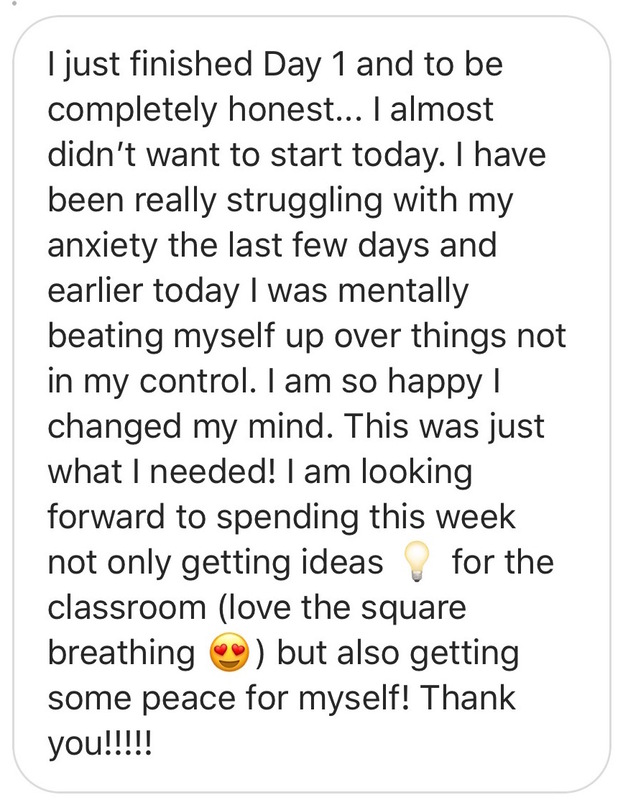 When I first started practicing mindfulness I had this false idea that something magical would instantly happen and my life would be changed forever! While mindfulness IS magical, the magic doesn't happen over night. 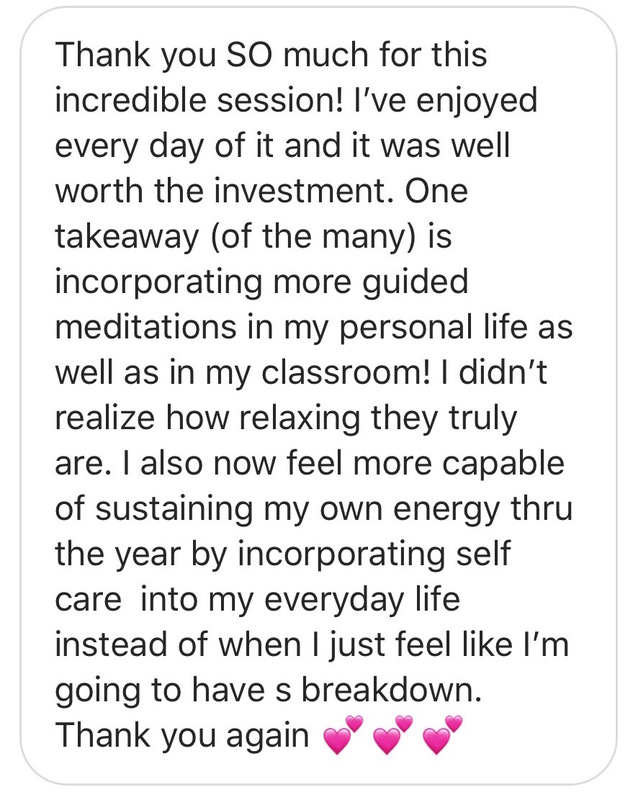 It's called mindfulness practice for a reason--it takes practice, which is why I designed Teach with Peace to help teachers like you begin or deepen a mindfulness practice that works for YOU. 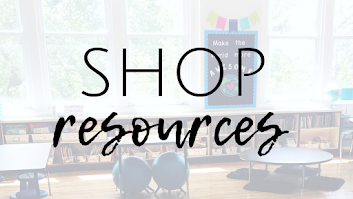 Being a teacher is unlike any other profession which is why I created this mindfulness course specifically FOR educators, with resources that you can bring into your classroom no matter what grade you teach! 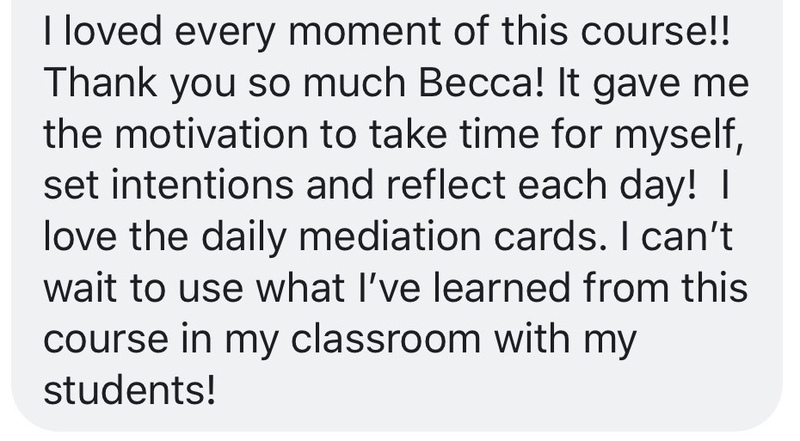 Mindfulness practice transformed my personal and professional life as well as the lives of my students. I know it can do the same for you. If you've ever wanted to join Teach with Peace, now is your time! 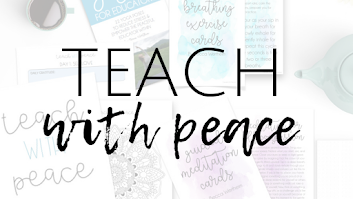 Teach with Peace is back and I'm SO excited to announce that I'm now offering year-round enrollment! 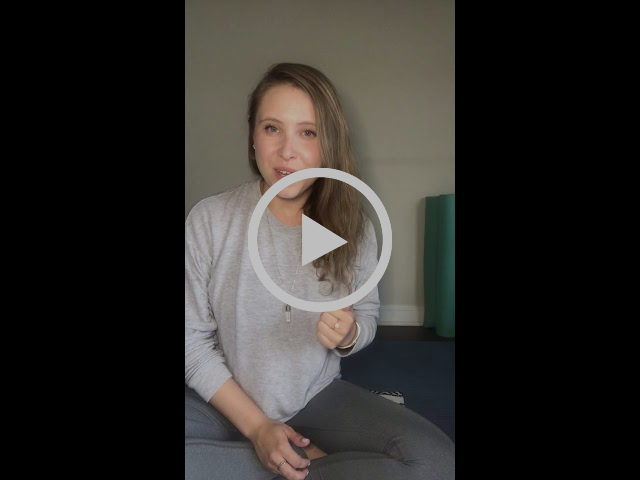 Many of you reached out and asked if I could offer more sessions of Teach with Peace which is why you can now complete the course at your own pace, anytime! 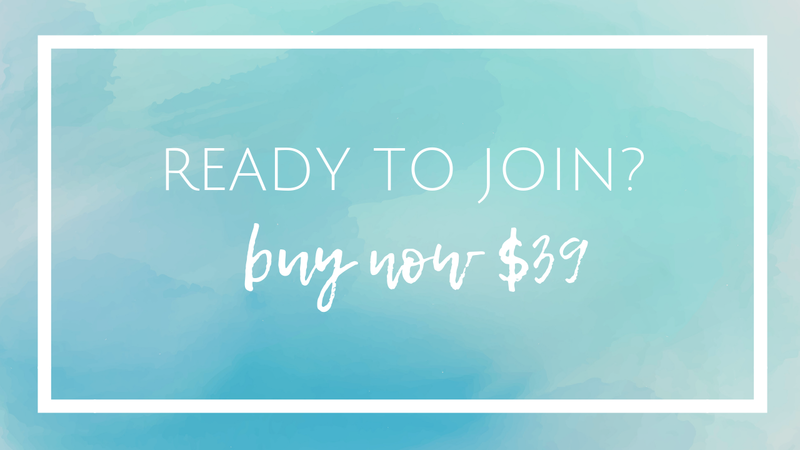 To celebrate, I'm offering the BEST Teach with Peace discount I've ever offered: lifetime membership for just $39! Once you become a member you'll have instant access to ALL course materials on our exclusive Teach with Peace member site. 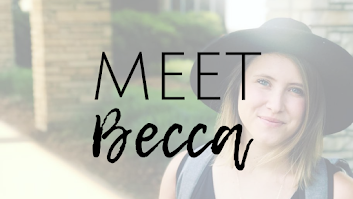 I’ll teach daily lessons while guiding you through custom affirmations, meditations, yoga, breathing exercises, journaling, and so much more! 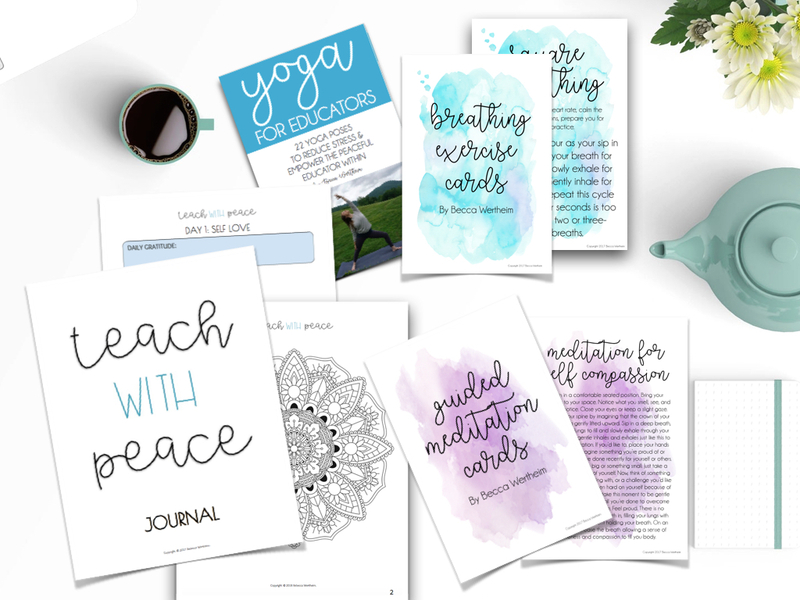 All lessons are taught via YouTube videos along with an amazing toolkit of printable materials (meditations, breathing exercise cards, the Teach with Peace journal, affirmation cards, yoga cards, and more!) to help guide your mindfulness journey. 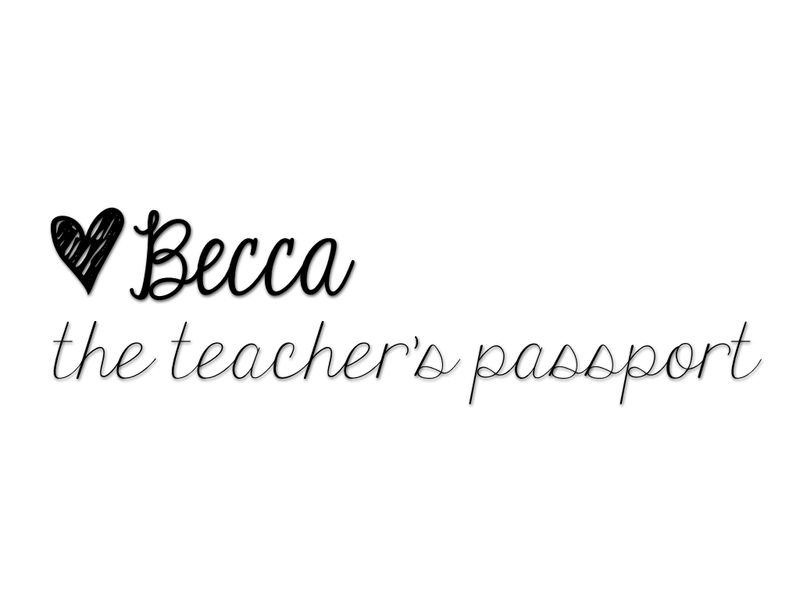 Want a peek inside Teach with Peace? Check out this video on my IGTV channel. You'll have exclusive lifetime access to all content! You'll also be able to join the private Instagram page to engage in discussions with educators around the world. Feel free to reach out with any questions! I hope to see you in the Teach with Peace community!